Get faded with Hollywood’s favorite dye job. Priyanka’s barely-there ombré transitions from her natural brunette to a sun-kissed brown. Salma wears face-framing toffee accents. The Westworld actress gives her angled bob a flash of bronze. Jourdan’s soft caramel ombré just gets better as roots grow out. Lucy Hale experiments with an ombré that starts closer to her roots. Gina Rodriguez gave her blunt bob warm chestnut tips. Chrissy wears brunette ombré with caramel ends. Take a page from Emma Stone’s book with her soft gradation from deep red at her roots to strawberry blonde at the ends. For added drama, try Vanessa Hudgens’ high-contrast color. 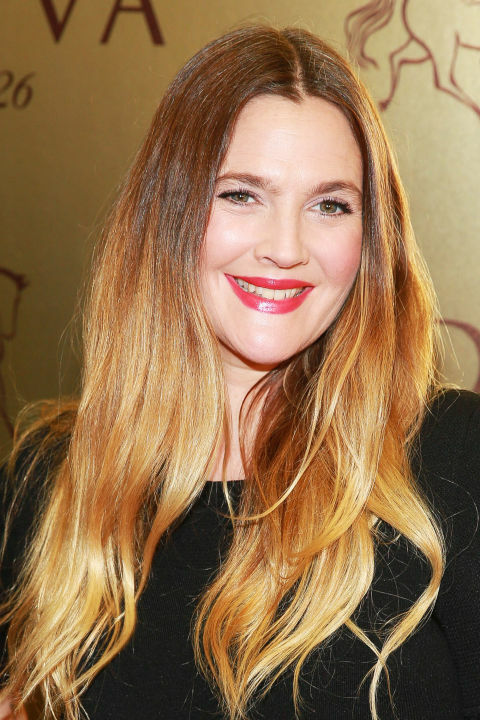 Sofia is a prime example of the classic brown-to-blonde ombré. Wear your ombré hair in a half-up like Kiernan, where your light ends show at the bottom. Suki’s warm fade is a transitional color that works year-round. Another celeb never without the ombré. Ciara wears ombré with face-framing blonde pieces. Alessandra Ambrosio goes for a natural fade from dark to light brown. Camila Alves’ wispy babylights in caramel brown give dimension to her dark hair color. Elizabeth Olsen doesn’t need extra volume since her ombré adds the illusion of texture to her waves. Rosie Huntington-Whiteley’s ombré seamlessly transitions from her natural ash to buttery blonde. Kim tries a super-subtle jet-black to chestnut ombré. Sunny ombré is Drew’s signature.